A sign on the grounds of the Aspen Music Festival and School seems to encapsulate how many Western Slope entities feel about a potential new transmountain diversion. In letters sent this spring about the draft Colorado Water Plan, both the Roaring Fork Conservancy and the Ruedi Water and Power Authority told state officials that growing Front Range cities should not be looking west for more water. “In short, there is no more water to develop in the Colorado Basin for a new transmountain diversion and the extent of the dramatic legal and ecological ramifications are impossible to foresee,” said Rick Lofaro, executive director of the Roaring Fork Conservancy, in an April 30 letter to the Colorado Water Conservation Board. Meanwhile, two of the biggest Front Range water utilities, Northern Water and Aurora Water, have sent recent comment letters in support of new water-storage projects and potential transmountain diversions. “There is little to no mention of transmountain diversions” in the “water-supply projects and methods” chapter of the draft water plan, said Joseph Stibrich, the deputy director of water resources for Aurora Water, who sent a letter to the water board dated April 29. Aurora Water diverts water under the Continental Divide from both the Roaring Fork and Fryingpan river headwaters, with about 2,600 acre-feet per year coming off the Fryingpan and 2,900 acre-feet coming off the top of the Roaring Fork. On April 28, Northern Water, which serves eight counties in northeastern Colorado with water, including water from the Colorado River basin, sent a letter to the Colorado Water Conservation Board from Eric Wilkinson, the general manager of Northern, and Jim Hall, a Northern project manager. A key issue in the debate over Colorado's water is how much water the state must send down the Colorado River, including to this location in Westwater Canyon in Utah. The comment letters are just four of the approximately 1,000 unique letters the water board has received as it has developed a draft — and now a final — version of the Colorado Water Plan. The final plan is due on Gov. John Hickenlooper’s desk by Dec. 10. Agency officials say they have read every comment they’ve gotten, including the 23,000 comments they’ve received as letters or emails, mainly as a result of calls to action by environmental groups. 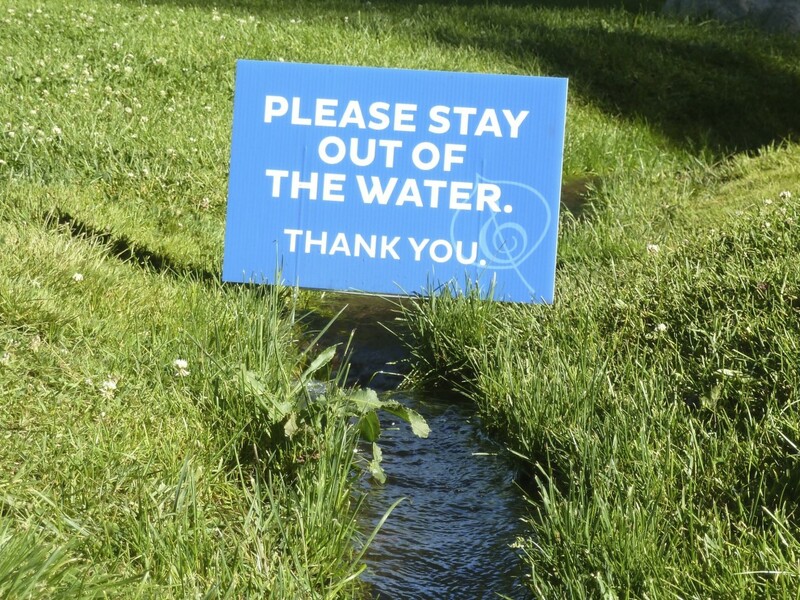 “We know what the messages are, and we know what you’re interested in, and we also know how you want us to change the plan and we’re working on it,” Kate McIntire, the outreach, education and public engagement coordinator for the water board, said during a May 20 presentation to the board on comments about the water plan. The letters from the four entities highlighted above were included in a May 8 CWCB staff memo about the status of the water plan. But as the letters from just four organizations show, there is still an agreement gap in Colorado when it comes to new potential water projects, especially transmountain diversions, and that gap may be difficult to resolve in the water plan. Senior staff members at the CWCB have written responses to every comment the agency has received. And it’s clear from a response to a form email sent to Gov. Hickenkooper that the CWCB staff is walking a fine line on new TMDs. 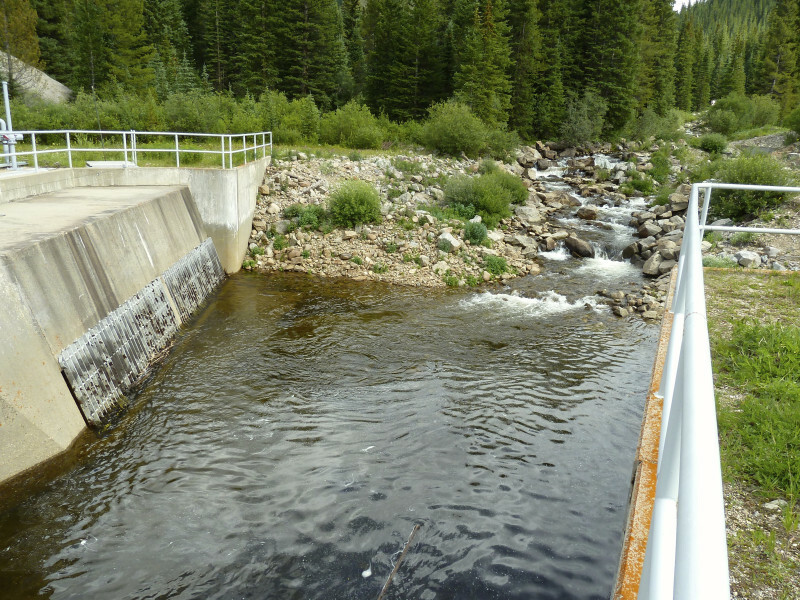 A transmountain diversion structure in the headwaters of upper Fryingpan River. And Fuller said in his letter that even if new dams and reservoirs are built on the Western Slope, downstream demands will prevent more water from being sent east. “If at some point more water is available in the Colorado Basin, for instance, than is required for immediate domestic, industrial and agricultural uses, the excess water should be seen as a long-term insurance policy for the entire upper Colorado Basin and not as a convenient target for water-needy areas elsewhere in the state. In addition to having different viewpoints on how the potential for transmountain diversions should be featured in the Colorado Water Plan, the two entities in the Roaring Fork watershed also disagree about the process the state is using to discuss potential new diversions. Aurora Water points to a draft conceptual framework developed by the Interbasin Compact Committee, which serves as an executive committee for the nine river-basin roundtables in the state, as the best way to proceed regarding a potential new transmountain diversion. 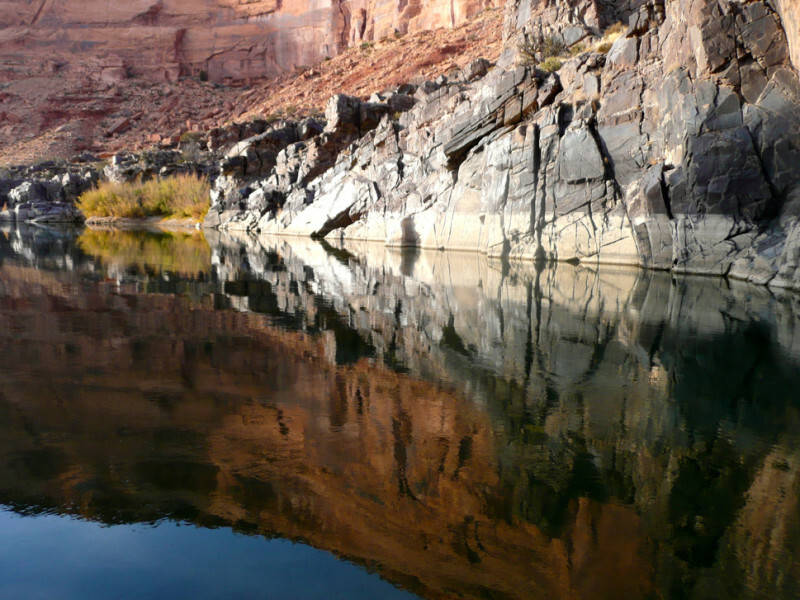 “The IBCC Conceptual Framework … provides the framework whereby new Colorado River Basin supply options could be investigated and potentially developed,” Stibrich wrote in a passage of language that he suggested should be included in the water plan. But both the Roaring Fork Conservancy and the Ruedi Water and Power Authority see the committee’s conceptual framework differently. 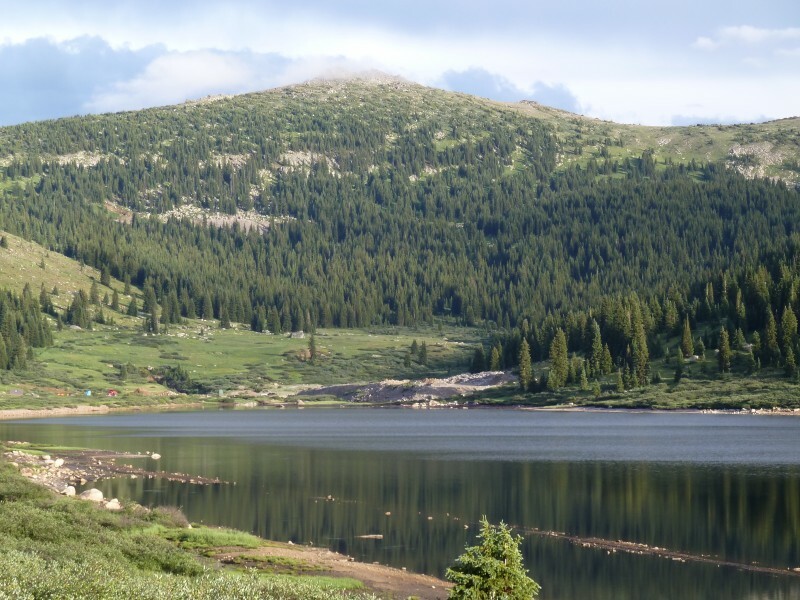 The first version of the final Colorado Water Plan is expected to be made public as part of the packet for the Colorado Water Conservation Board’s next board meeting, which is July 15 in Ignacio. The packet is typically made public at least a week before the meetings. At that time, the public will be able to see how the board’s staff has incorporated the conflicting comments the agency has received, read and posted at the Colorado Water Plan website at www.coloradowaterplan.com under the “Get Involved” tab. And even after the first version of the final water plan is released in July, the Colorado Water Conservation Board will continue to take comments on it until Sept. 17. Editor’s note: Aspen Journalism is collaborating with the Glenwood Springs Post Independent and The Aspen Times on the coverage of water and rivers. The Times published a version of this story on Tuesday, June 3, 2015. In the Times edition, the last name of Rick Lofaro, the executive director of the Roaring Fork Conservancy, was spelled wrong on first reference. The error was the fault of Aspen Journalism, not the Times.